I am a great fan of Dan Brown. I have read all of his books and enjoyed every single one of them! Great fiction and storytelling. Most of all, I always admired Brown's capacity to fuse fantastic elements with actual historical or scientific facts. 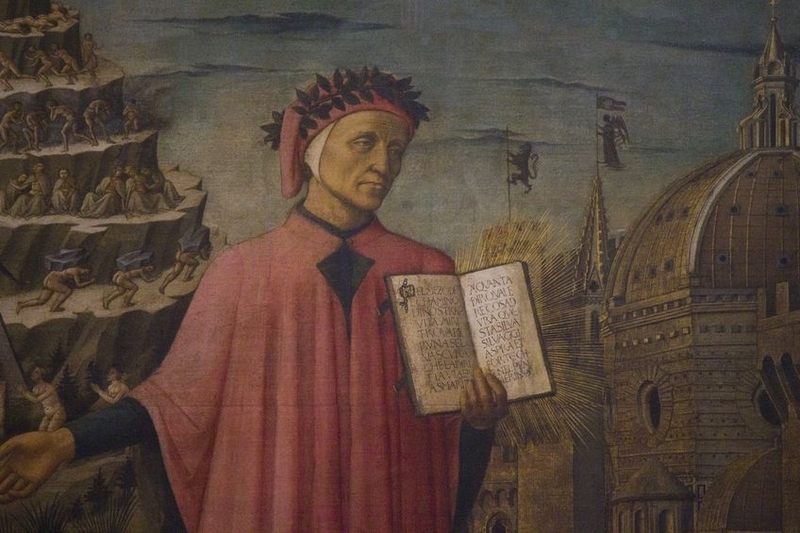 This is why I decided to test his last-and one of my favorite-books, the “Inferno”. Before we proceed, a warning for all those who have not yet read the book and wish to: the following paragraphs contain “spoilers” unveiling some of the mysteries of the book. In the story, a crazy scientist is supposed to have planted an infective virus in the Sunken Palace, a popular touristic destination near Hagia Sophia in Istanbul, attracting approximately five thousand visitors every day. To make things even worse, the wealthy scientist has arranged, by an anonymous donation, for a classical concert to be hosted at the Sunken Palace for seven consecutive days thus increasing the number of visitors even more. His plan is simple. During this special seven-day period, he aims to infect all visitors with this highly contagious airborne virus. Since, Istanbul is a touristic destination from literally everywhere in the world, the infected visitors, when leaving this place could go anywhere from Istanbul to back to their homes thus spreading the virus around the globe quickly. But how quickly can a few thousand people infect the whole planet of 7 billion souls? Well, according to the book just seven days should suffice! That’s quite a bold claim, so, I decided to put it to test by using the IS model. This model can be used to simulate interaction processes in general, in this case, a contagion triggered by the aforementioned Istanbul Sunken Palace infection. (b) the probability of contamination between any possible combination of Infected and not Infected-normal people around the world. This is more difficult to find but we can calculate it to be approximately 0.0000002% per day (see note* for key assumptions). This is all we need to construct the model and make the simulation. The resulting graph showing the evolution of the Infected (red bars) and Non-Infected (blue bars) people around the world is shocking! So, is this what it takes to make our world disappear, a lunatic clever enough to hide a dangerous biological agent inside any great touristic attraction in the world? Well, to bring panic levels down, it’s not that simple at all, for two reasons. First, an airborne virus that is almost 100% contagious, as described in the book, does not exist today. And, second, and more importantly, the “Inferno” virus causes sterilization and has no symptoms at all. Hence, it goes undetected as the epidemic grows, without any counteraction to contain it. This is not the case though for most epidemics, as there are visible symptoms and, possibly, deaths that trigger alarms on a local or international level as it happened, for instance, with the recent Ebola epidemic that was, eventually, successfully contained. Infected visitors from the Sunken Palace leave Istanbul every day and travel, practically, everywhere around the world. The total number of buildings in the world is approximately 1 billion. Each person of the 7 billion that populate the Earth, either infected or not, resides or visits any of these buildings with a probability 1 in a billion. So, the probability for a certain infected person to meet a non-infected person in a certain building and pass the virus is 1 to 1 billion x 1 to 1 billion (for those of you familiar with basic probability theory, this is obvious, for all others please google it or just take my word for it!). Since this may take place in any building in the world, we have to multiply this probability by the total number of buildings i.e. 1 billion. Moreover, it’s common sense that every person makes at least two visits per day, one inside its private residence and one outside, either to work, visit a friend, or perhaps buy something, so we also have to multiply by 2. 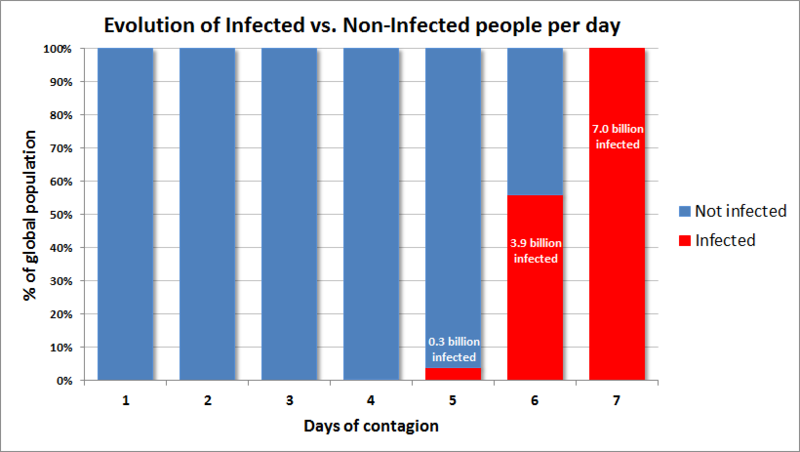 Combining all the above, the probability of an infection for any of the possible combinations of infected and non-infected people is 2 out of 1 billion (0.0000002%) per day. Thanks for this post.I was continuously checking this blog and I'm impressed.I have bookmarked your blog.Thank you so much for sharing these information.